Escape de la locura metropolitana de la ciudad y experimente el esplendor natural de la región de Sichuan en una extraordinaria excursión de día completo desde Chengdu. Maravíllese ante los sagrados templos e impresionante salas envueltos por capas densas de árboles de bambú en la montaña Qingcheng. Obtenga una visión fascinante de la desconcertante construcción del sistema de riego de Dujiangyan gracias a su experto guía y escuche cómo la estructura llevó a un importante desarrollo agrícola de la región. Disfrute de un cómodo transporte de ida y vuelta desde su hotel en Chengdu y todo un festín de un auténtico almuerzo chino durante este recorrido. Pase tiempo con la naturaleza en una caminata por la montaña Qingcheng y aprenda sobre las leyendas e historias de los numerosos templos. Disfruta de un paseo en bote y visita los templos con tu guía. Salga de su hotel en el centro de Chengdu hotel en un cómodo monovolumen con aire acondicionado y viaje a la espectacular montaña Qingcheng, un majestuoso monte rodeado de frondosos bosques y de tranquilidad. Maravíllese ante los bien conservados templos taoístas que adornan el enclave, después suba a bordo de un barco para disfrutar de un idílico paseo por el lago Yuecheng. 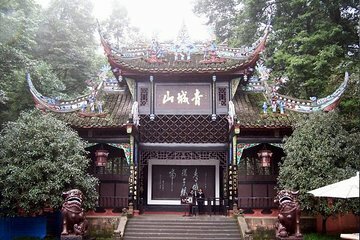 Llénese de energía con una estimulante caminata de 2 horas hasta la montaña y haga una parada en diversos templos a lo largo del camino; adéntrese en su fascinante historia y escuche cómo las dinastías Tang y Qing influyeron en su construcción. Puede elegir descender la montaña a pie o en teleférico (no incluido en el precio); más tarde, vuelva a reunirse con su guía y el grupo a los pies del monumento. Revitalícese con un almuerzo en un rústico restaurante de la zona, a continuación, podrá admirar el paisaje en el trayecto hasta el sistema de riego, un famoso proyecto de ingeniería hidráulica que cambió la reputación de la agricultura de China. Maravíllese ante los dinámicos diseños, antiguas estatuas y verdes jardines que rodean la estructura y escuche una explicación detallada de la historia de la obra maestra gracias a su guía experto. Después de la exploración exhaustiva, regresará a su cómodo vehículo, para relajarse durante el trayecto de regreso a Chengdu, donde termina la excursión. Absolutely fantastic tour. Extremely knowledgeable and friendly tour guide. Would recommend to anyone!! Extraordinary adventure! Our guide was very knowledgeable and very polite. It was an outstanding service and will probably book further tours with them in the future. Excellent tour. Tour guide was amazing. Be prepared for a long hike and bring extra water. This tour was outstanding. Most people go to Chengdu for the pandas, which of course are must-see, but this tour got us out of the city into the nearby mountain areas. What a nice change of pace to get out of the city and into the countryside and farmland. Lillian, our guide, spoke excellent English. She notified the hotel she was coming and picked us up in the lobby. Our driver was friendly, car was clean and comfortable with strong a/c. Lillian and driver provided so much information cultural and historical about the beautiful area. The irrigation system is awesome! Quite an engineering feat from over 2000 years ago. So strong the 2007 earthquake didn't damage it. You can walk or ride the tram. Cross the river on a suspension bridge to see the Dao temple and choose to climb the surrounding trails. Lunch at a local restaurant was delicious and the beer was COLD!. Qingcheng Mountain was lovely. We took a tram, then a short walk to a short boat ride to a gondola. Then started to climb. The climb was steep at times, mostly on stairs with several flat areas to stop and rest. There were several young Chinese women doing the trek in platform spike heels! Very few handrails but steps were never too narrow or close to drop-off to be uncomfortable or scary. To avoid the climb you could choose to be carried in a sling for a nominal fee. The view from the top was stunning! Clean western toilets in both locations. Very interesting tour and good tour guide. Had a nice lunch in between sites. Thought the extra payment for transport $4 and the tram fare $13 could have been built into the tour fee. The trip was fantastic, started with a small hickup caused by very late booking, but even that was sorted out very quickly. Great guide and amazing place to see. I was disappointed that I wasn't able to visit Mt. 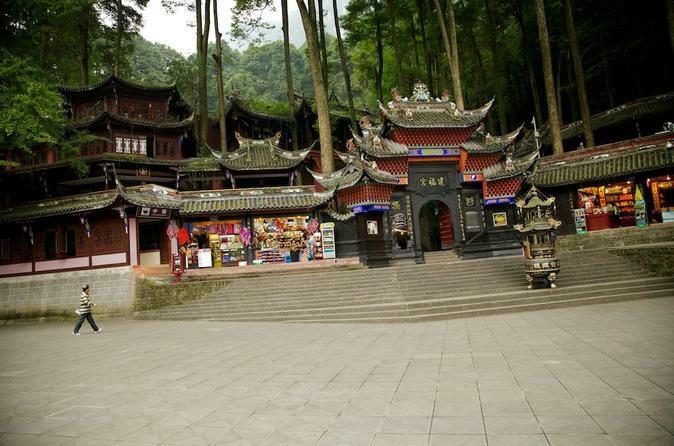 Emei while in the area but found this tour and was impressed! First of all, I did not realize that this was a personal tour.  All the other trips I've taken on Viator.com are with a big group. Not for this one, just you and the guide! My guide was nice and fun, which is good since just the two of us spent the whole day together. The irrigation system was okay, a bit crowded by the color of the water was beautiful and the bridge to see right by the entrance was neat. I like the swinging bridges, would have liked to go to the temple across the longer swinging bridge but we didn't have time, too far of a walk. The one thing I'd recommend is to bring warmer clothing for the top, you're in the clouds and it gets cold. I forgot mine back at the hotel and survived but was a bit chilly, my own fault. Qing cheng mt is very scenic and off the beaten track. Getaway from Chengdu! Love the guide I had.